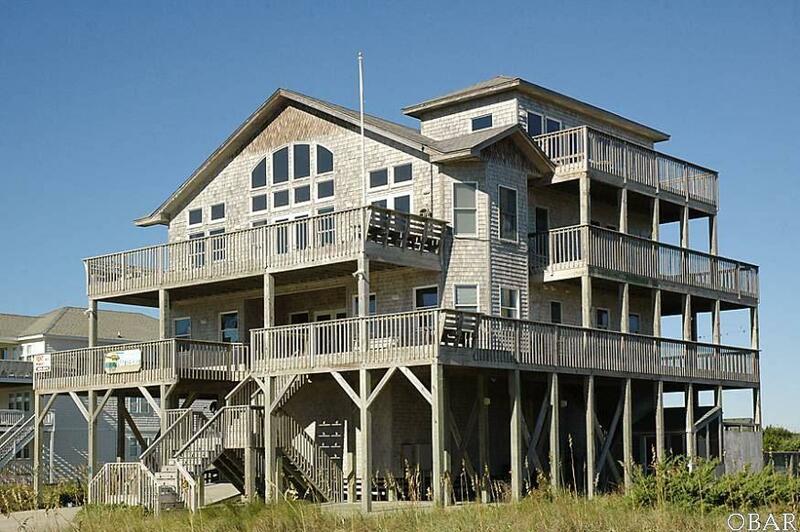 Make your landing at LZ Hatteras--a casually elegant beach home built for your comfort. Meticulously maintained home with wonderful opportunities to become an outstanding second-home or investment property!! Located just one lot back from the beach and offering a ramp to the ground level, an elevator to all levels except the loft, and wide doors and hallways to accommodate those with limited mobility. All bedrooms are masters with private baths and TVs, so theres plenty of space for everyone to enjoy a little elbow room. With a large carport area and dry entry convenience is at your fingertips. 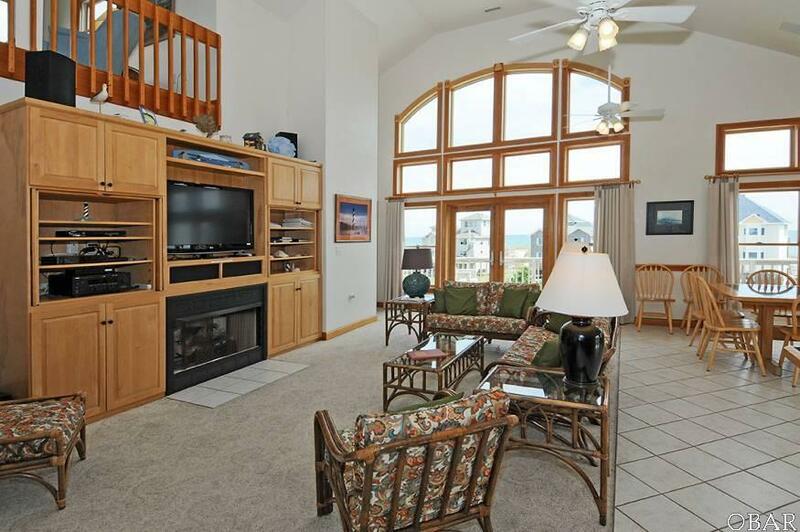 The ground level game room with separate entry is the perfect hangout spot for family fun. Shoot some pool or catch the big game on the TV. The wet bar features a full-size refrigerator, microwave, and under-counter ice maker to keep your cooler fully stocked. A full bathroom is also on this level, along with a laundry room. Elevator access to the other living levels means you can skip the outside steps to reach the rest of the home. The main entry is on the middle level. Two king bedrooms on this level offer ocean views, while the queen bedroom and the bedroom with two pyramid bunk sets have distant sound views. Enjoy an afternoon snack on the screened porch overlooking the pool area, or just take in the ocean breeze from the wrap-around covered deck with horizon ocean views. A convenient second laundry area is also on this level, as well as a home office area. Spend some quality time catching up with family in the open living, dining, and kitchen area, boasting ocean views and bathed in natural light. Cooking and cleaning up for your hungry crew will be a breeze in the well-equipped kitchen, which features dual wall ovens and dishwashers, gas and electric cooktops, wet bar, and an additional under-counter ice maker. 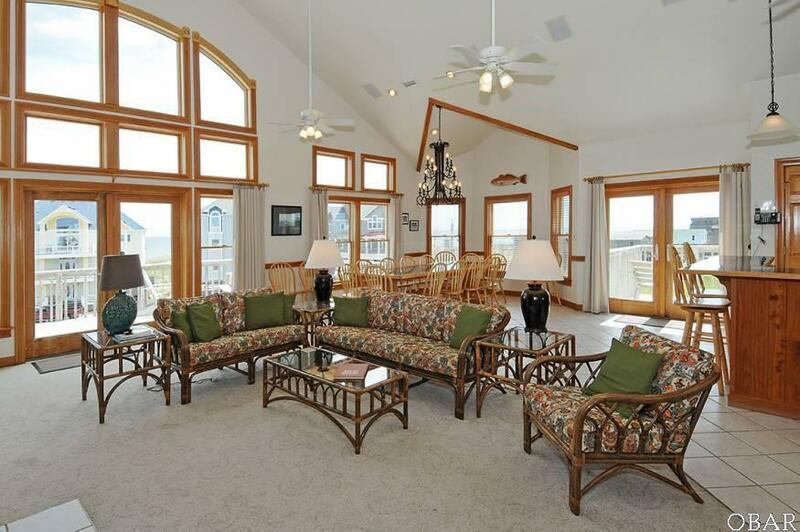 Two additional master bedrooms, each with TV and access to spacious oceanview sundecks, are on this level as well. The queen bedroom offers distant sound views, while the oceanview king bedroom features a separate shower stall and Jacuzzi tub in the bathroom. A few steps up from the living area takes you to the loft with wet bar, under-counter ice maker, and stunning ocean-to-sound views from the sundeck. Lounge by the private heated pool (electric heat pump) or spend some time letting your cares soak away in the hot tub. Head out to the beach via the nearby community boardwalk over the dune to spend your days surfing, fishing, and building sandcastles. Clean the day's fresh catch at the well-lit, screened-in fish cleaning station. Nearby marinas offer opportunities to launch your boat or charter a fishing trip to the Gulf Stream. 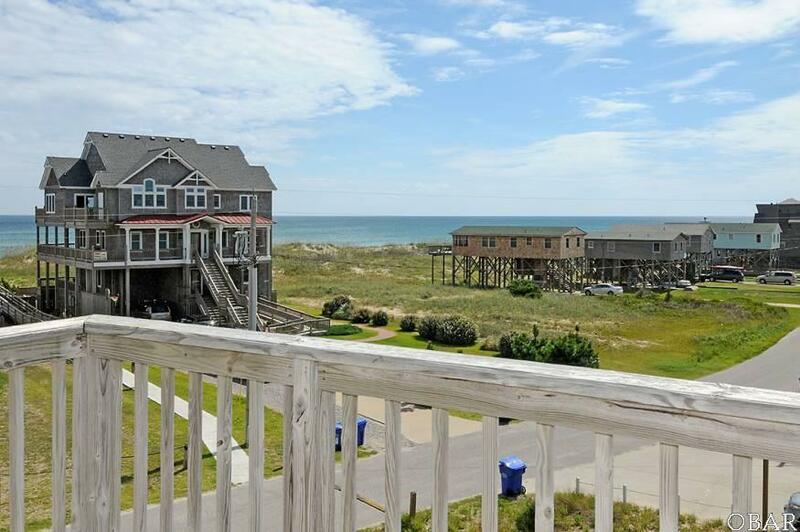 From art galleries and museums to boutique shopping and fine dining, you have all the best of Hatteras Village right at your fingertips when you stay at this well-appointed home. Made to withstand winds up to 120 mph--shingles and ice and water shield on entire roof--as well as quality fixtures and materials--Anderson windows and doors, Kohler faucets and fixtures--you can rest easy knowing that your investment is lasting and protected. A solid rental performer with more than $85K in bookings for 2019!! Visit today!